We are recruiting experienced nurse practitioners and physician assistants in hospital medicine. These opportunities are part of our more than 75-physician and 30-advanced practitioner multi-specialty group. Our inpatient care is provided by a health-system employed hospitalist group of physicians and advanced practitioners. The hospitals are a total of 300 beds including inpatient rehab and are in two locations 22 miles apart. We offer full specialty support locally and with the Medical University of South Carolina in Charleston. We have superb support staff of experienced providers, nurses and administration. We offer a competitive salary, quality/production bonuses and a great benefits package. We are recruiting APs to join our Hospitalist service – at least 1-2 years of hospitalist experience required. Are you passionate about quality and committed to excellence? Consider joining our Tidelands Health team. As our region's largest health care provider, we are also one of our area's largest employers. 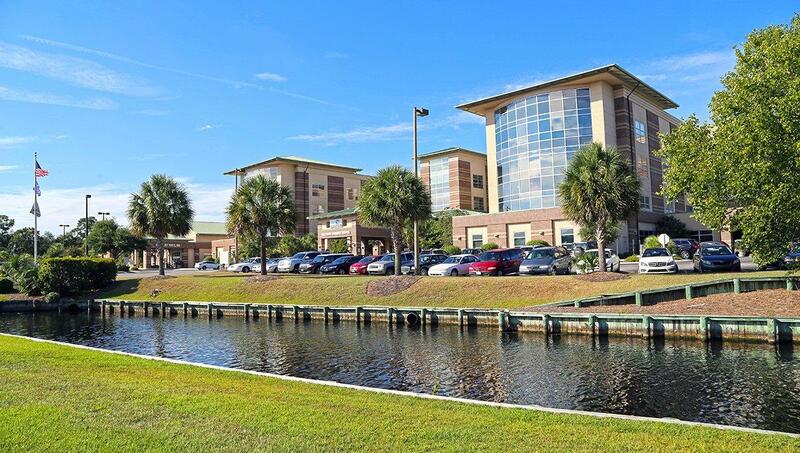 More than 1,800 men and women at more than 50 Tidelands Health locations bring our healing mission to life each day. From clinical experts to business professionals, a wide variety of talented, committed employee partners comprise our work force. We celebrate diversity and a culture of transparency and fairness, and our health system has been repeatedly recognized as a progressive, forward-thinking employer both locally and nationally. Whether you are seeking a hospital-based position or are interested in career opportunities in our many outpatient locations, we invite you to explore the possibilities afforded by a fulfilling career at Tidelands Health. Once the lair of the infamous pirate Blackbeard, Murrells Inlet is now widely known as the "Seafood Capital of South Carolina" and is an ideal place for those who love to explore the outdoors. A half-mile-long Marsh Walk offers spectacular views and a chance to watch fishing boats come in with the day's catch, be it fresh fish, clams, oysters, or crabs pulled from the surrounding waters. Thrill seekers relish opportunities to parasail, ride a banana boat or drive a jet ski, while pirate-themed boat tours bring Murrells Inlet's history of pirates and adventurers to life. This fishing village has a boating experience for every taste, from kayaking at sunrise to a day-long chartered deep-sea fishing excursion to the Gulf Stream. After dark, things get lively along the Marsh Walk, with live music streaming from several fun-filled establishments. Known worldwide for its beauty, Brookgreen Gardens showcases its extensive American sculpture collection with the best nature has to offer. Founded by Archer and Anna Huntington in 1931, Brookgreen Gardens was their gift to the community they loved. Today it is a National Historic Landmark with one of the most significant collections of figurative sculpture, by American artists in an outdoor setting, in the world. Visitors will always find something in bloom, no matter what the season, and the zoo offers an up-close look at local wildlife. For the adventurer, try a Carolina Safari tour through local attractions, or Blue Wave Adventures Dolphin Watch Tour, for a kayak or charter exploration for marine life. Directly across the highway lies Huntington Beach State Park, originally a part of the Huntington's estate and now a must-see for the serious bird watcher. This 2,500-acre park also offers ocean-side camping, fishing and nature programs along the three miles of beach and hundreds of acres of salt marsh. This was also the summer residence of the Huntington's and their castle-like home, Atalaya, is open for exploration daily.